The timeless and exotic country of Japan is always in the top-ten lists of travelers around the world. With beautiful landscapes and giant entertainment industry, there is no short of fun and exciting to see or to do in the Land of the Rising Sun. 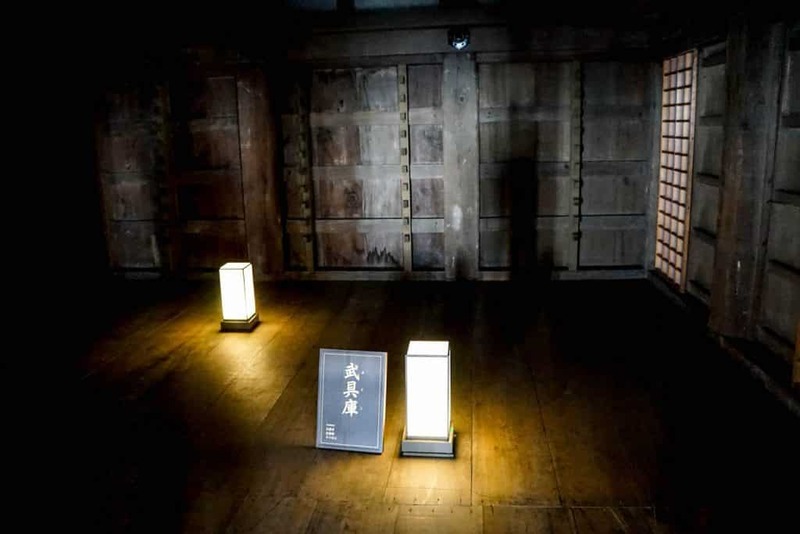 However, amidst the lively and vibrant life in Japan, there still exist historic corners in the country that exudes a timeless and solemn silence which stands as proofs of the country’s glorious, turbulent, yet resilient history. 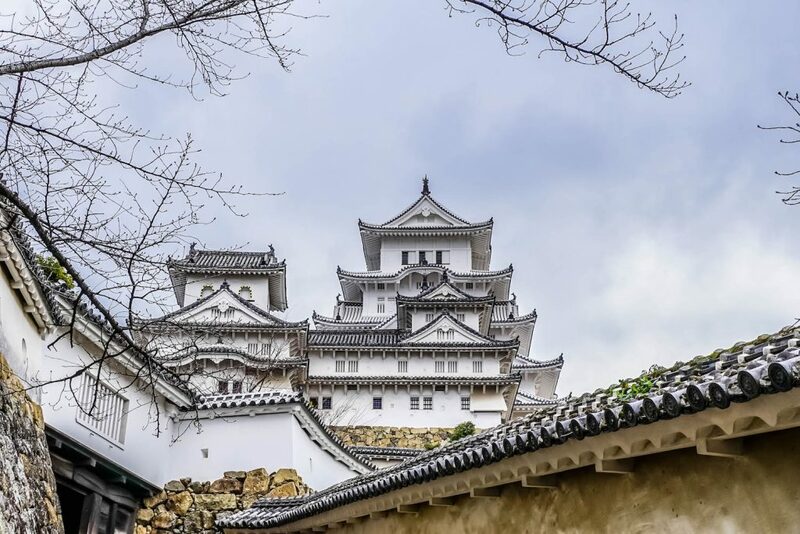 The Himeji Castle in Osaka, in all its splendor, is one of such places, and it is a must-see destination for travelers who would love to delve into the country’s rich and complex history. This enchanting castle is also commonly known as Hakuro-jo or Shirasagi-jo (“White Egret Castle” or “White Heron Castle”) because of its distinguished white exterior and resemblance to a bird taking flight. Truly a sight to behold, it was a complete highlight of my time in Japan – up there with the Zao Fox Park, Tokyo Robot Restaurant and Imperial Village of Nasu. 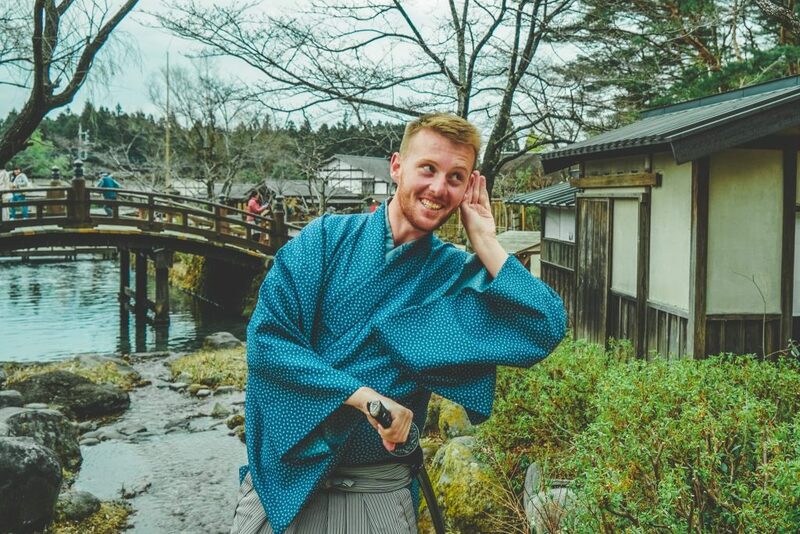 One of the best tips we can give you for exploring Japan is to order an airport travel SIM card for easy pickup and activation the moment you land so you will not pay a fortune for international roaming – and can truly travel like a local. Restaurants recommendation and reservations on the fly, public transport instructions up to the minute, opening hours, translations and further information – and of course, social media posting, if that’s your thing – all become just that much easier. By Shinkansen: Shinkansen is the famous bullet train system that can drastically reduce the commuting time between destinations in Japan. Osaka and Himeji are connected by the JR Sanyo Shinkansen line, and the commuting time is about 30 minutes. The fare for a one-way tick usually varies from 3740 Yen to 3950 Yen, depending on the type of train you take. The Japan Rail Pass will be valid for most trains, except for Nozomi train. If you want to take Nozomi train, you will have to use JR Kansai Wide Area Pass instead. By local JR trains: If Shinkansen is too much for your travel budget, local JR trains might be a good alternative. There is a direct line between Himeji and Osaka which takes about an hour of commuting and costs 1490 Yen. There is a train for every 15 minutes, so do not be worried if you miss a train. If you plan on visiting Himeji castle on a day trip, the 1-day JR Kansai Area Pass is an especially good deal. By non-JR trains: For travelers on an even tighter budget, consider the limited express train from Hanshin Umeda Station to Sanyo-Himeji Station, which is located near Himeji Station. The fare is only 1280 Yen, and the trip is fully covered by the Kansai Thru Pass. The only downside is that the train can take 100 minutes for a one-way trip, which might be rather long. At Himeji stations, there will be plenty of lockers of various sizes for your baggage. The price for a medium-sized locker is about 400 Yen. 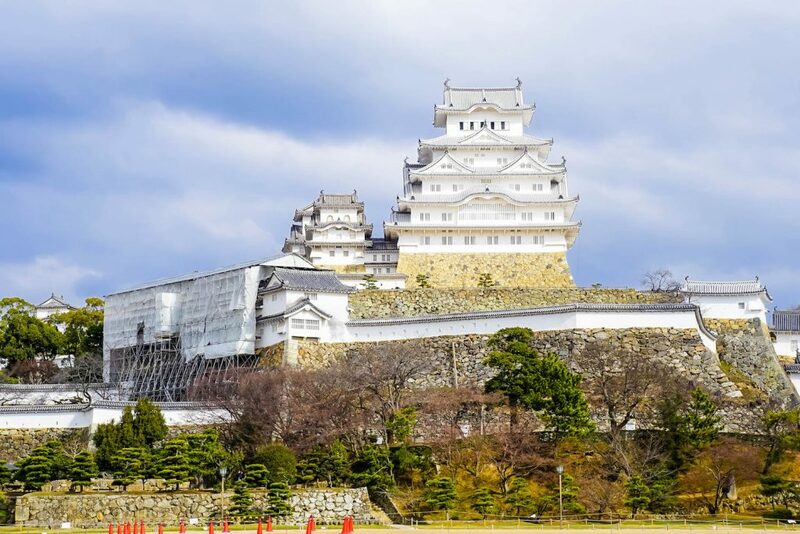 Of course, if it all sounds a little too difficult, you could also try one of these reasonably priced Himeji Castle tours from Osaka (and other destinations). 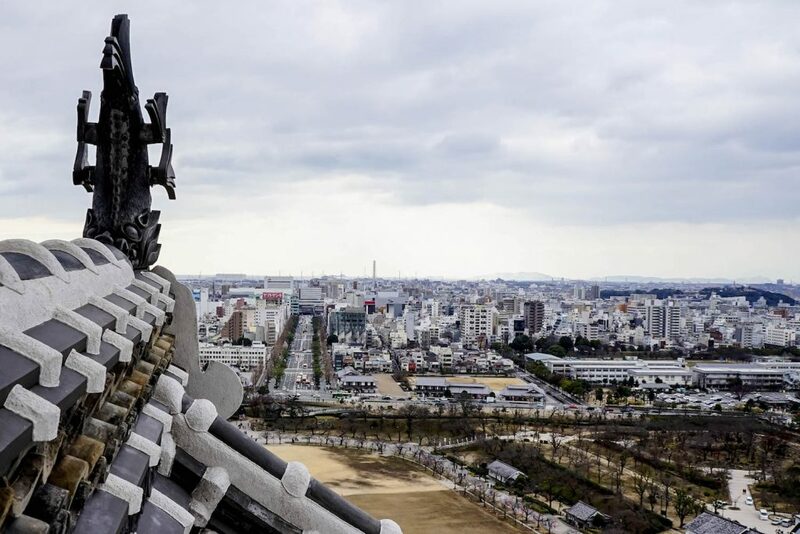 Himeji Castle is not only a landmark with a breathtaking and enchanting view, especially in spring, but it is also a historic site that has stood firmly against the test of time and of the fire of war. 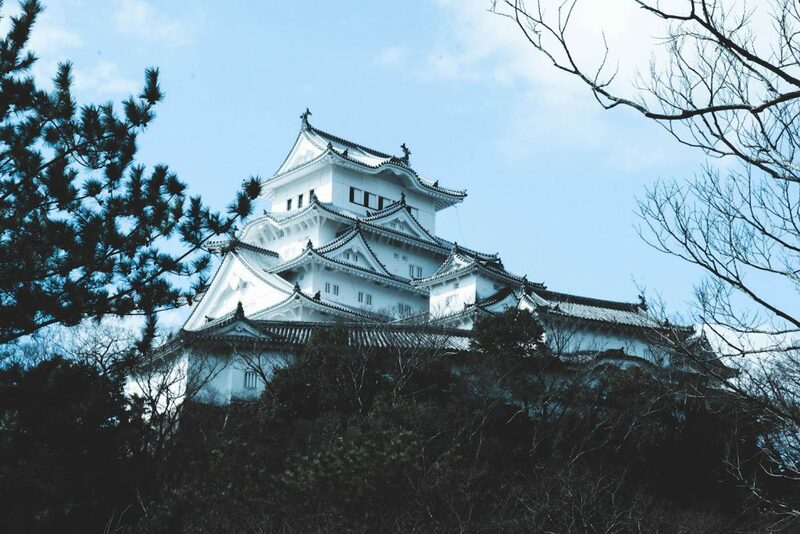 In fact, Himeji Castle is one of the few castles in Japan that have firmly stood against all natural disasters and the terrifying Second World War. For its cultural and historical significance, the castle is a World Heritage Site recognized by UNESCO. The history of the castle goes way back to the 14th century. The castle has not always been a fortified castle. Before 1333, it had been a Shinto shrine on a hilltop. Around 1333, a samurai by the name Akamatsu Norima, who was, at the time, the local governor, built a fortified fort on this hill to solidify his control on the region. Afterwards, his son, Akamatsu Sadonori, destroyed the old fort and, from its ashes, built up a real castle in order to defend the region from surrounding warlords. The Sengoku period immediately followed, and the castle’s ownership switched back and forth from warlords to warlords. The first warlord to be stationed in the castle is Kuroda Shigetaka from the Kuroda clan, in 1545. During their stay, the Kurodas had remodeled the entire castle, and the project was completed in 1561. In 1580, Kuroda Shigetaka presented the castle to his warlord, the famed Toyotomi Hideyoshi, and he also ordered another renovation which resulted in a formidable three-story keep. When Tokugawa Ieyasu emerged victorious after the decisive battle of Sekigahara, he rewarded the castle to his son-in-law Ikeda Terumasa, who then proceeded to demolish the old keep and began an extensive renovation project for the castle, which gave it the appearance it bears today. In 1613, Ikeda died and passed down the castle to his son, who then died three years after. In 1617, Honda Tadamasa became the proud owner of the castle, and he added several new structures to the complex, most notably a special tower for his daughter-in-law. During the Meiji period, the castle was abandoned and fell into disrepair. It was used as a barrack by the army and then was slated to be destroyed. However, thanks to the effort of an army colonel named Nakamura Shigato, the castle was saved, but the cost of maintenance was still high. When the Han feudal system was abolished in Japan, the castle was auctioned off, and the new owner wanted to demolish it entirely to develop the land, but the project proved too costly. Since then, the castle lied forgotten for the most part. Then the war came. Miraculously, even during the Allied’s extensive bombing, Himeji Castle stood still. There was only one firebomb that hit the complex, but it did not explode. 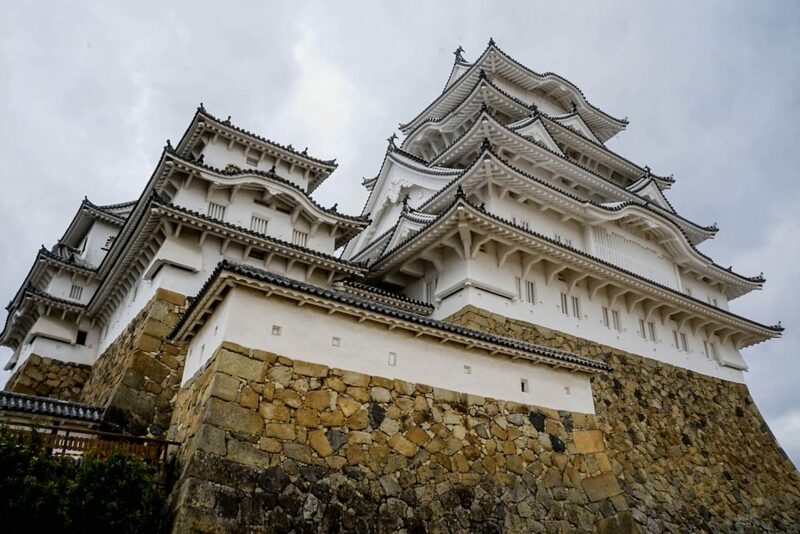 In 1995, the whole city of Himeji suffered greatly during the Great Hanshin Earthquake, but again, Himeji Castle received no harm, making it a symbolic castle in Japan’s history. On 11 December 1993, Himeji Castle received the honor of being one of the first UNESCO World Heritage Sites in Japan for its cultural and historical significance. As tourists stroll through the castle complex, they will not only see the marvelous architecture that has withstood the test of time but also essences of Japanese culture ingrained into every single detail. 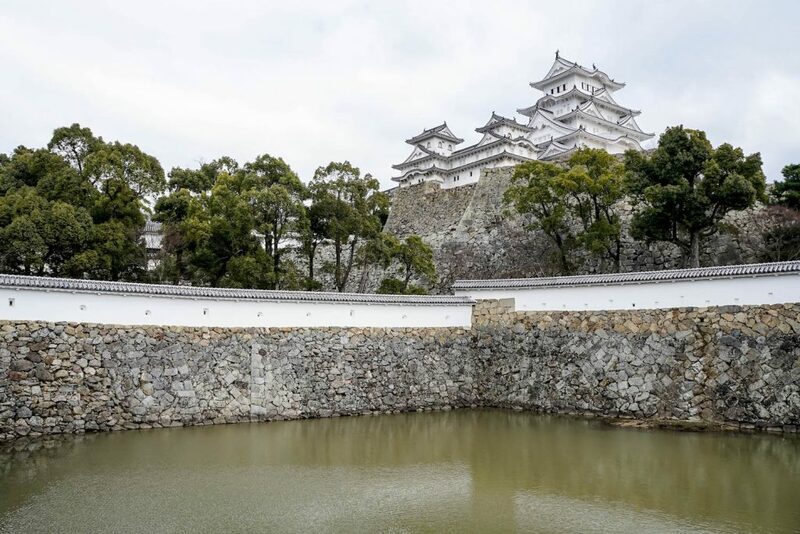 For tourists who want a taste of Japan throughout the ages, Himeji Castle is a perfect choice. Do notice that all admission stops one hour before the closing hour. The castle does not open on December 29 and 30. The admission fee for the castle only is 1000 yen. If you would like to visit the nearby Kokoen Garden, then the fee will be 1040 yen.